Your Questions: Can My Mixtrack Pro Work With Traktor Pro 2? Yes, there’s no problem with doing that. Indeed, in some territories, including Europe, the Mixtrack Pro actually ships with a version of Traktor. Here’s how to do it: Once you have your Mixtrack Pro installed and working fine with Virtual DJ, launch Traktor 2 with the controller plugged in and turned on. Now go to Preferences > Controller Manager and click Setup Wizard. 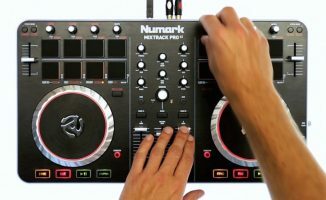 Follow the instructions to choose Numark then Mixtrack Pro, and answer the rest of the questions accordingly – you can tell it how many decks (two in your case) and also whether you’re using an external mixer or not (you’re not). Setting up your Mixtrack Pro in Traktor using the controller wizard. When the wizard is finished and you’re returned to the Controller Manager page, in the Device drop down menu at the top of the window, select your Mixtrack Pro. You may have to select its entry in the adjacent In-Port and Out-Port drop-downs too. Finally, got to Audio Setup > Audio Device and select your Mixtrack’s sound interface in that dropdown. You should now be good to go. Now, to use your Mixtrack Pro with either software, just launch the software you wish to mix with at the time. Have you got a Mixtrack Pro? Which software do you use it with? Got any tips and tricks to share with us on this controller? Please let us know in the comments! 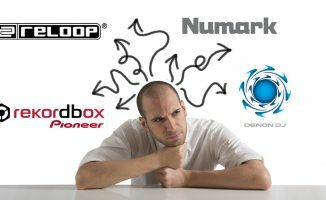 Controller Clinic #35: Which Software For My Mixtrack Pro 2? Your Questions: What's The Best Controller For Beginners? Controller Clinic #23: Why Won't Traktor Record My Controller's Mic Input? i’ve got a Mixtrack [Non-pro] it came with Virtual DJ in the box (it’s Asian version probably) and i’m using it with Traktor 2 at the moment. it works seamlessly. however, i’ve gotta note you the some of the functions doesn’t work out of the box with my Mixtrack. i’ve got to re-map them (namely the Cue buttons) but it was no big deal anyway. hope your Mixtack Pro will fare better. The mixtrack pro works with with traktor pro 2. I suggest exploring other mappings than the ones from NI. Search google for Devil_07 4 deck TSI mappings. He provides a lot of details and you will get a good idea of what’s possible with the MTP and TP. It’s pretty simple to get the Mixtrack Pro to work with T2.. I recently purchased it and made my own maps for 2 deck, 4 deck and 2 deck + 2 sample decks setups.. Works flawlessly with all of them. Indeed, mapping the mixtrack to get it working with Traktor 2 is not too hard… you just need a little patience and do some research. Anyway, I’ll shamelessly plug my own mapping here for 4 decks (2 sample decks). 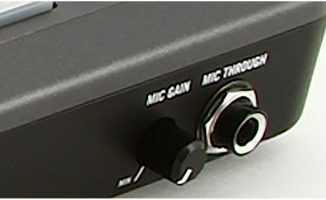 is their any word on a mixtrack pro successor? Not as yet, but you can bet they’re thinking about it. 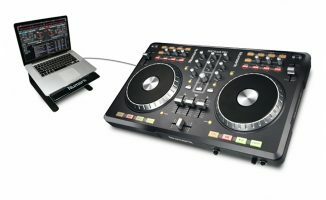 Look at Reloop’s products, particularly the Mixage (here’s our Mixage review) and also browse our DJ controller guide. Fair point. But we are the first place many people turn to so we try and pitch stuff at all levels, and digital DJing can be confusing to the absolute beginner. Also, you’ll notice that at the weekend we publish readers’ letters, and publish original material in the week – and those letters range from the really basic to the quite complicated. We try and publish a good mix of them all. Thanks for commenting Deco, it’s appreciated. thanks phil, you’re the man!!! Traktor LE is supplied with hardware and is specifically only for the hardware it is supplied with. It is not possible to use a Traktor LE copy with hardware it’s not meant for. You’ll have to buy Traktor Pro if you want to use it with your controller. you can try the download at this link also for Traktor LE. Not sure if it requires a license or not. The download is labeled as specific as for the Mixtrack. 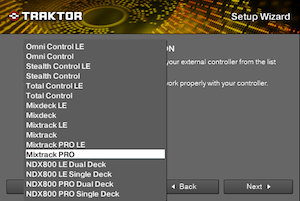 Traktor LE is supre limited and it may not even let you load alternate midi mappings. Traktor Duo also works with the MTP and is not bad if you don’t need everything in Traktor Pro. Mac users sd avoid Traktor Pro. It took 2 days to set up and load my tunes then nothing worked playlists cd not be created and no linking with Itunes. Horrible bit of kit! Try serato. Having the same problem… Help! Hi I just got traktor pro 2 and i got it working with my mixtrack. everything is working fine the only problem is that the mixtrack does not have a soundcard so i bought an external usb soundcard which works perfectly with virtual dj but not on traktor. Does anyone know how to set up traktor and mixtrack with headphones? You’ll need to go to Audio setup in Traktor configurations and set everything up correctly there. No, it doesn’t work with such devices, it is a laptop controller. hey arjun, i am from india too and i am interested in buying numark mixtrack pro but i am not able to find a suitable retailer even online. can you please help me buddy in telling from where i could buy and how much price it would be. your feedback would be appreciated from heart. I recently bought the Mixtrack Pro and am using it with Traktor Pro 2 – I have the ASIO4All drivers installed, and have set the sample size to the lowest so latency is 5.0ms. I’m having a lag/delay problem where the right play button on the controller has a significant delay (but if I use the mouse for the right deck there is no delay) – how would I go about fixing this? Come and ask on the fourm, that’s where we answer questions! http://www.digitaldjtips.com/forum. Many thanks. Virtual DJ home doesn’t support any controllers. You have to purchase Pro. 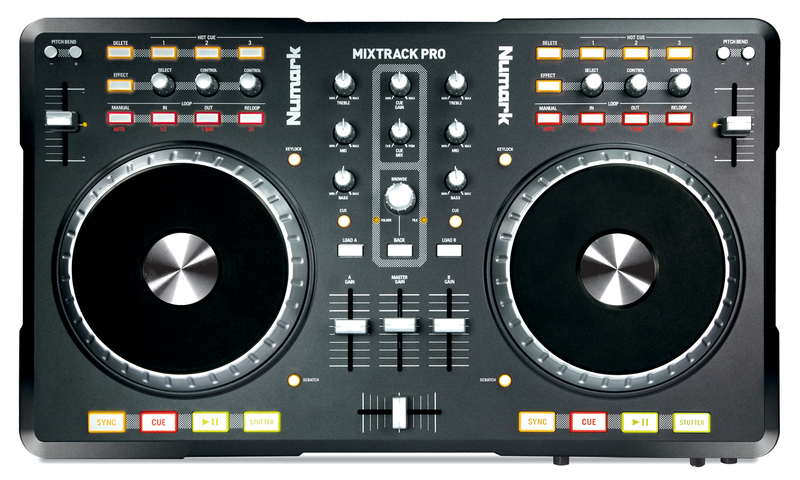 Hi, I am thinking abouting getting a Numark Mixtrack Pro, but just wondering if it needs any soundcard drivers, for it to work? Ok so i did the setup wizard as well and no luck, my Mixtrack Pro doesn’t seem to be working with Traktor LE 2, somehow, even though it usually does work. Any help people? :) much appreciated thanks. I upgraded my tracktor le software to the pro 2 version today and it looks great but when I tried to use the effects with my mixtrack pro nothing happened , none of the effects work, i was wondering could anyone shed some light on my problem? Sounds like your mapping isn’t right, that’s what I would check first. Hey, i have had some problems with installing the serial number with virtual dj it is saying it is invalid. 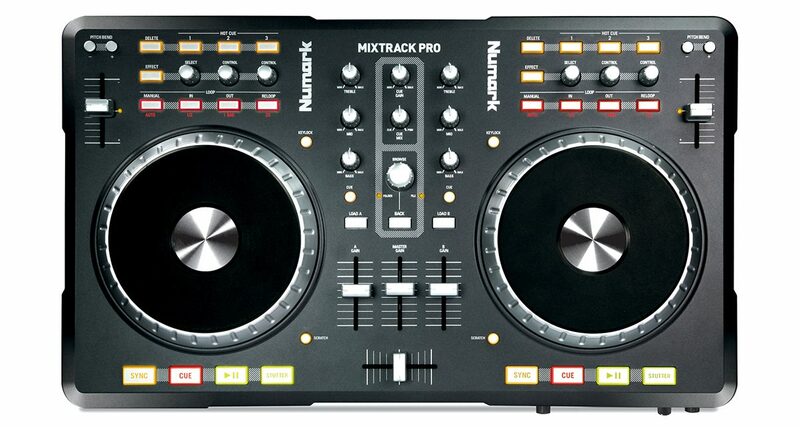 Is it possible to get the Tracktor 2 software and use that with the numark mixtrack pro? Yes it works with Mixtrack Pro.